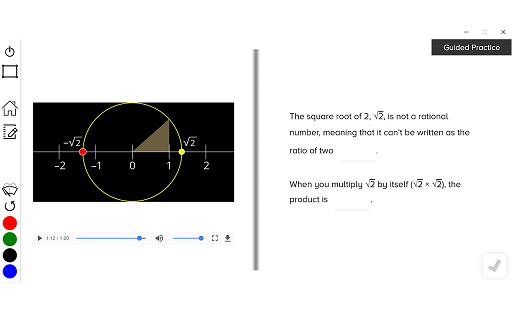 For one-on-one, at home, and whole-class mathematics instruction, use our FREE Chrome, Windows, and Macintosh desktop lesson apps as a supplement for teaching and learning key concepts in middle school math. Shown here is the Grade 6 Windows app including all 15 lessons for Grade 6 math. When you're ready to get down to the serious business of teaching math, you'll want some serious technology to help. 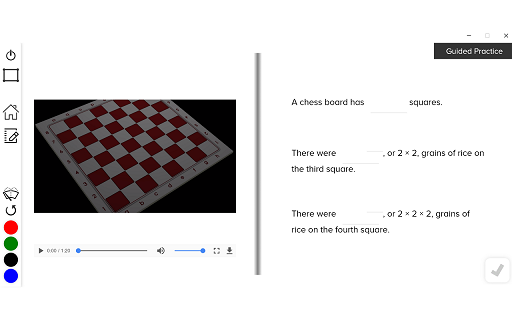 Use the lesson apps to present to the class and have students work independently or in partners on their own desktop devices. No sign-in required. Just download and go. You&apos;re the teacher. 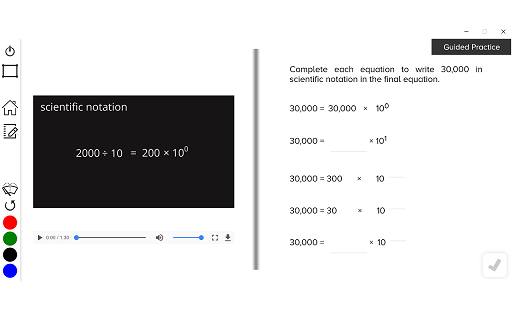 Each lesson app comes with a downloadable PDF set of instructor notes which provides the expected answer for each question, tips for stimulating discussion, activity summaries, and math notes. 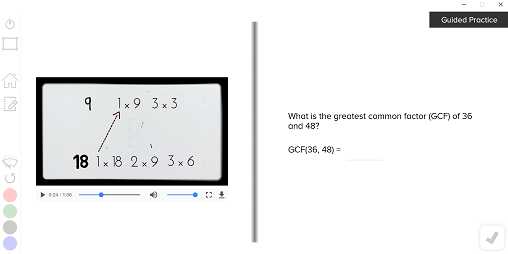 Videos are embedded in each app and used to demonstrate the mathematical concepts presented in the modules. The videos are built to stimulate discussion and highlight the conceptual structure of a topic. Turn on the drawing canvas to write all over the app. 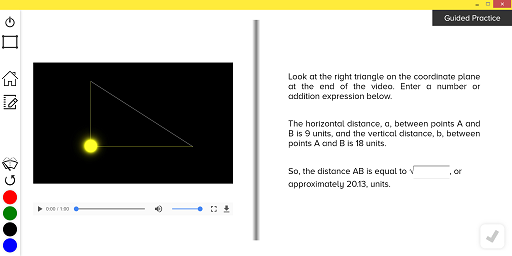 Highlight important information, write conjectures, and record notes, directly on top of even videos. The drawing canvas goes great with partner work in class. 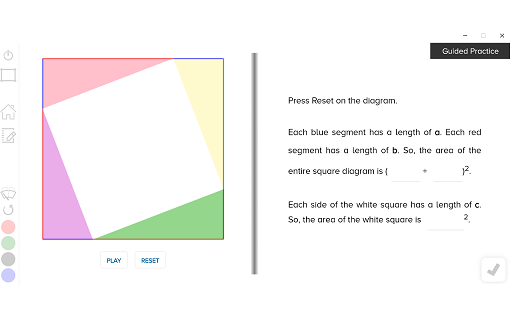 Some lesson apps feature interactive items, such as models and puzzles. Engage students with "minds-on" exploration of key math concepts. Use these tools again and again for spaced practice to build expertise. Mathematics is not static. It makes things move. 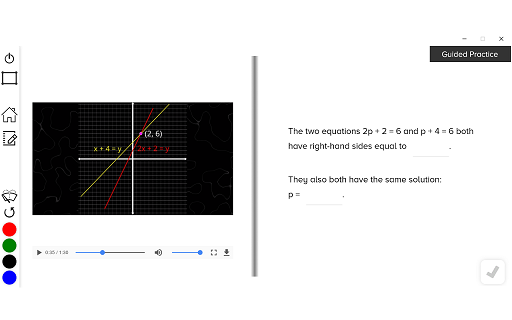 Our interactive tools embedded in key lesson apps help students learn by making math move. 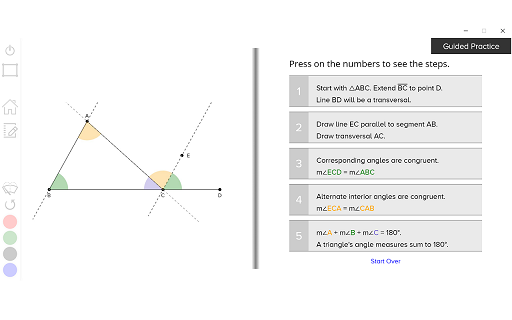 In the Irrational Numbers lesson app, an interactive tool allows students to explore the approximate locations of rational and irrational numbers (square roots) on a number line. Here are all of the lesson apps. Click on an image to go to the Chrome Web Store site for the lesson app. Take a look at the middle school selection and click on More to see details about each app, watch the videos, and even play with some of the interactives. Setting up and solving equations and inequalities. Adding and subtracting with integers. Building px + q = r equations from situations. From linear equations to functions. Independent practice, homework, parent involvement, formative assessment . . . the list goes on and on. Let us help you with some of it. Our Number One priority is helping students. It's learning math. Pretty simple really. So, let's put away the toys and get down to business. There is no sign-in process, and we don't track student data. We see our role as providing support and then getting out of the teacher's way. We know that meeting standards isn't enough. We want all students to exceed their mathematical potentials. 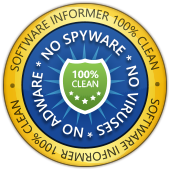 No user information is collected on this site or in our apps. 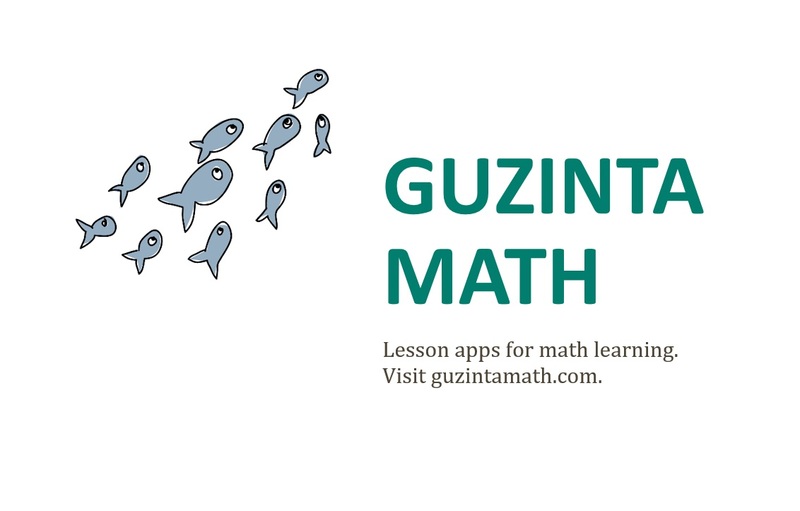 Copyright © Guzinta Math 2018–2020, All rights reserved.